ID: 2080 ~ Source: BU Records: NoZe Brotherhood, Accession #BU/384, Box 2, Folder 3, The Texas Collection, Baylor University. 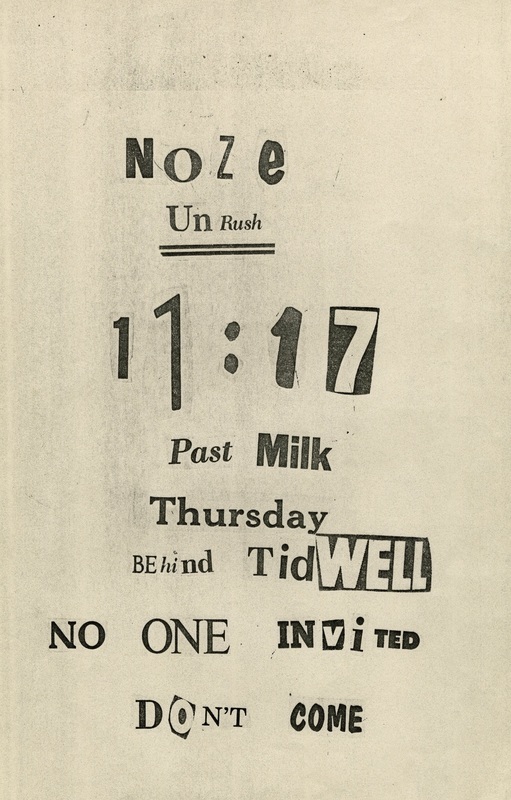 In the typical NoZe Brothers style of using opposite meanings, recruitment or rush, are known as “Unrush.” They also claim that no one is invited and no one should come, meaning all are invited and they want potential Neophytes to attend. In the mind of a NoZeman, PM means “Past Milk.” Potential Neophytes are required to write an essay of 10,000 words or less that the NoZe Brothers evaluate in deciding their fate.